If you have already scheduled an appointment online, but wish to modify your document delivery address, you can do so by logging into your profile. 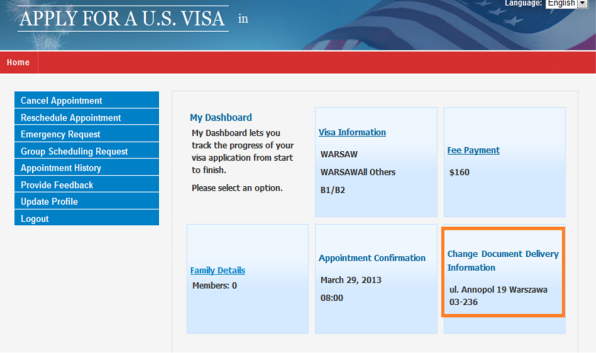 You may change your document delivery address at any time before 11:59 p.m. on the day of your interview at the U.S. Embassy or Consulate. If you wish to modify the mailing address of your dependents, please contact the call center. 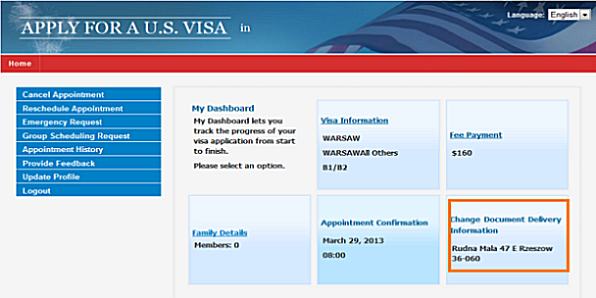 It may cause delay in delivery if the profile details do not match with your passport. 1. On the home page select the Change Document Delivery Information box at the bottom right of the screen. 2. When you click on the Change Document Delivery Information box it will take you to the Specify Documentation Delivery page. Enter your new document delivery address and click Continue. 3. On the home page you can check if your address was updated. 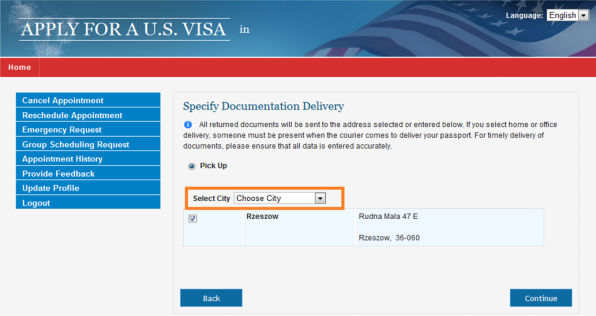 The Change Document Delivery Information box should have your new delivery address.